All this week I’ve been hustling to add fabrics to the shop and expand your options to get exactly the ones you want, as much as you want! This feels like a big step for my little shop and I couldn’t be more appreciative of all of you who’ve given me a chance to send you something pretty. 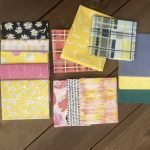 I also couldn’t be happier to offer fabrics that are hard to find anywhere else: Tilda Fabrics, Sweet Bee Fabrics, and of course the Classic Curves Ruler, patterns, pattern kits and curated bundles that are one of a kind Color Girl. Check out what’s new…and it wouldn’t be a celebration without gifts, so read on for a chance to win some pretties, too. I want to make shopping here as easy and fun as possible, so if you are looking for something specific, check out the drop down menu under “shop” at the top of the website. That gives you direct links to lots of categories to make it easy to find exactly what you came for. To browse the entire shop, just click “shop” and you’ll get it all in one place. 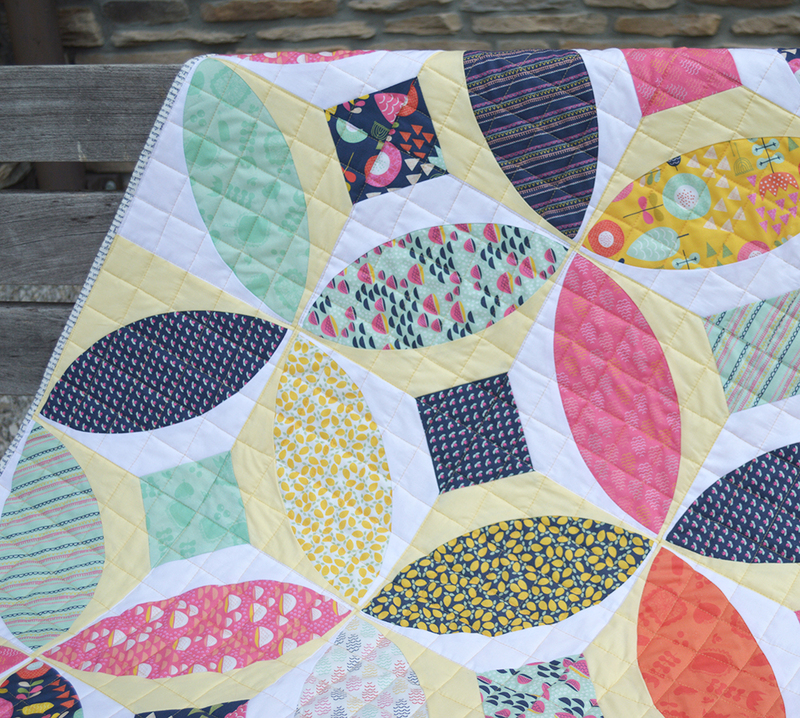 You all loved the Windsor Garden fabric when I made this sweet quilt (above) back in July. I now have several of the prints plus more from Sweet Bee Fabric Co. and more on order. This new company creates some really sweet collections, so it’ll be one to watch for sure. 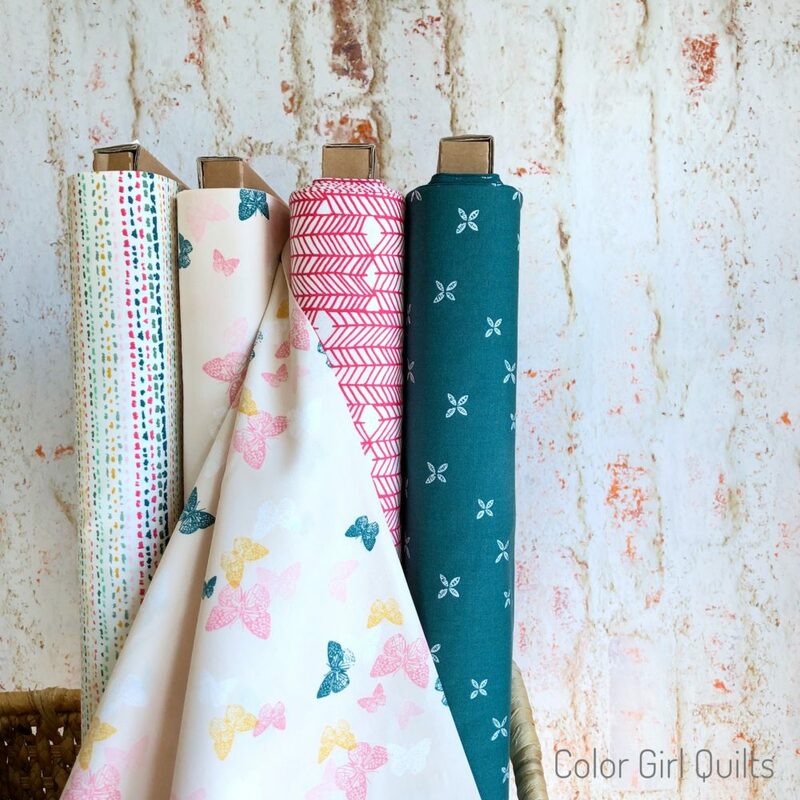 Find all Sweet Bee Fabrics, Here. Can you believe how cute the texty “love notes” print is? I am putting the finishing touches on the PomPom pattern and it will be available to you all soon…in the meantime, stock up on the best basics of the year. Tula Pink’s dots and stripes are the absolute cutest, happiest fabric we’ve seen lately! I can’t get enough of the saturated colors. 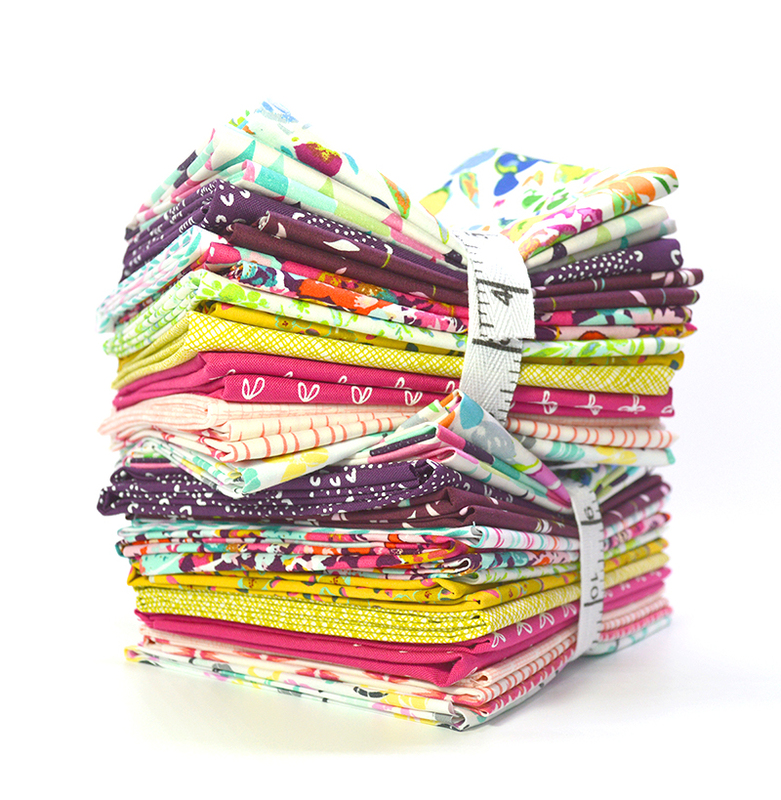 You can get bundles, and now yardage is listed too, right here. I think you are going to love this pattern. It’s way easier than it looks…gals I sent it to for testing are having a blast with it. To celebrate this new expansion of Color Girl, I want to gift one of you a bundle of black and white prints and a Black Jack pattern to go with it. In addition to the yardage, you’ll also find a new bundle of these high contrast, highly useable prints in the shop. Winner of the giveaway gets one of the new black and white bundles found here. It’s ten different prints, each piece 11″ x 22 (a jumbo size fat eight). If you’re like me, you’ll find using black in your quilts is rather addicting. 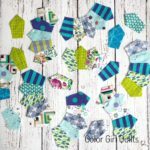 It makes colors look amazing and adds a great pop to your patterns. Winner will be announced here on Tuesday, September 4. <<GIVEAWAY CLOSED>> Congratulations, Laura Parker! You are the winner of the black and white bundle. Thanks everyone for playing along. Forgot to add that I am reading from St. Louis, Missouri! These black and whites look great. I am in Shelby,NC. I love Black and Whites, collecting them right now for a Karen Stone quilt. I put red with it usually but I like lime green too. I’m Jan from western Michigan. I love to see pinks or turquoise with the black and whites. I’m already a follow on IG. I am in Crozet, VA which is in central Virginia. I have never made a quilt with blacks and whites but it’s on my bucket list. I would place bright pinks and oranges alongside the blacks and whites! 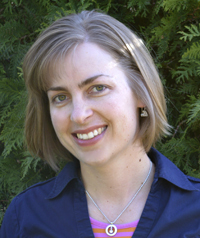 I am Lori reading from central Minnesota! I love using red with black and white!! Hi, I’m Genevieve from Arizona. There isn’t any color I wouldn’t try with black and white as I love ALL colors. But if I was forced to pick one it would be teal,no, lime, no, pink; aw heck I can’t just pick one! What a great giveaway. My favorite color with black and white – hmm, pretty any single color, like red, purple, blue, something bright and saturated. Thanks for your color inspiration and this great giveaway! Any time I can find text prints, I get giddy. You offer beautiful bundles, so anything you put out is bound to find a home. Thanks! Following from Washington State! I love teal or fuschia with black and white! Hi Sharon! Your shop looks awesome! What wonderful eye candy! I love the bundles you curated. I’m from Wisconsin and I love mixing black and white with a scrappy assortment of rainbow colors. I can’t pick just one! I love your use of color!!! I love red with black and white fabrics. Hi from Montana! This is a neat Giveaway! Thank You! I love using black or navy with white stripes on many of my quilt bindings! Sometimes even in sashing to really show off pastel blocks! Thank You for your Blog+Inspiration ! I love black and white fabrics paired with vibrant red! It’s always a striking look! I’m a native Iowan, living in Dubuque, just west of the Mississippi River! Fan and follower from NH! A friend once told me every room should contain something black, even kids rooms (from a design perspective). With this in mind, I bound a rainbow quilt for my daughter in a black and white stripe and love how it looks. Working to include more black and white into other quilts…love them paired with turquoise. I do love red with black and white, or a good ocean blue. Reading from Dearborn, Michigan. I’m reading from Utah. I love color lots of it yellow is my favorite. I’m in Qld Australa and using lime green with black and white. Hi! I’m Jessamyn from KY and I found you on IG via a hashtag. Pink and black low volume or turquoise and black for me!! Aqua is pretty much my favorite color to go with everything. 🙂 Following from TN. I love any bright colors with Black and White – they give an appearance of a stained glass window, and the blacks make the colors pop! 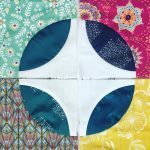 Gorgeous yummy fabrics! I’m from La Puente, 25 miles southeast of Los Angeles. I’m seeing lime with black and white. Thank you for sharing your talents and creativity. I am reading from Long Beach, California. 😊 I love bright rainbow colors with black and white. It makes all the colors pop! Follower on IG. 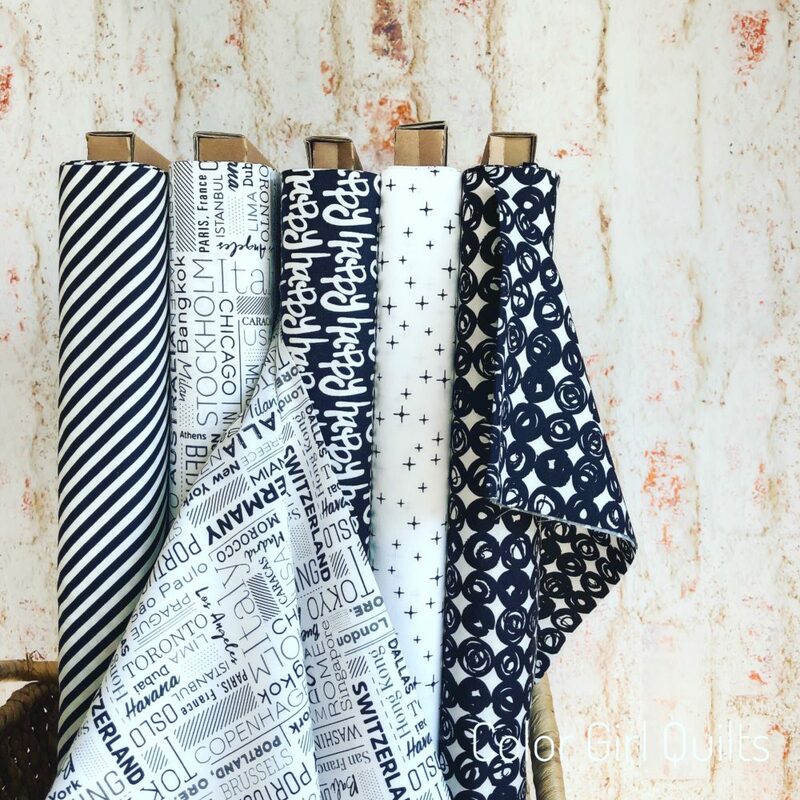 I’m working on a black and white geometric cube quilt using epp that these fabrics would be perfect for. Hey! I’m following you from Bowling Green, Kentucky. I like most any color with black and white, but bright saturated colors are my favorite.